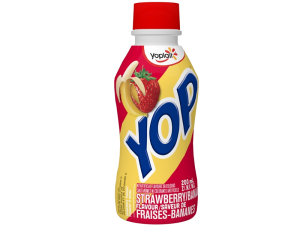 RMi is proud to introduce Yop's Strawberry and Banana Smoothies to our Daily Milk Program! RMI is especially proud to introduce our DAILY MILK PROGRAM. Our Milk Program is unlike any other! We pack it and deliver it to your school DAILY, so there is no need to store large quantities of milk at your facility. Our Milk Program works similarly to our Lunch Program. Students fill out an order form, the orders are processed and the milk is packed daily according to the order forms. Each milk is individually labelled with the student's name and their teacher's name, and packed by class into insulated bags. 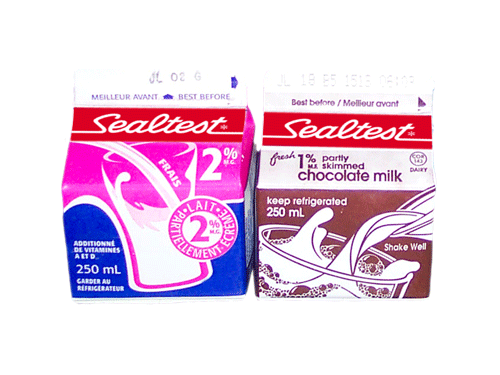 Milk is then delivered to your school at the desired time to be dispensed to the students that ordered. No administrative work by the school. We will count, balance and organize all funds collected. The school incurs no bank charges. No milk stored at the school. 5 day per week delivery, organized by class and individually labelled by student. Contact us at (519) 620-0303 for more information on this incredible program.